Out-of-hospital Intubations: Are Patients Well Ventilated on Emergency Department Arrival? EtCO2 is correlated highly with vpCO2 in non-intubated pediatric patients with moderate to severe respiratory distress across respiratory illnesses. Mainstream capnometry performed best, and an oral guide improved the performance of sidestream capnometry. Accuracy in non-obese and obese patients, with and without OSA, was similar. Exhaled CO(2) detection is a sensitive and accurate technique to confirm tracheal tube placement in very low birth weight infants during neonatal resuscitation. 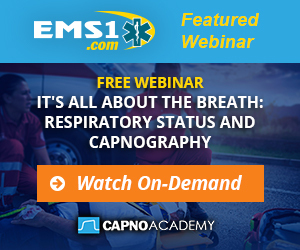 Within a wide limit of agreement between the volunteer and bench study, flow-through and sidestream capnometry performed equally well during bench testing and in non-intubated, sedated patients.